A Bar/Bat Mitzvah is more than a festive party. It is the launch of your life as an adult and as a member of the Jewish nation. Therefore it is very important that your child not only prepares for the event but also prepares for what follows - life as a responsible Jewish adult! 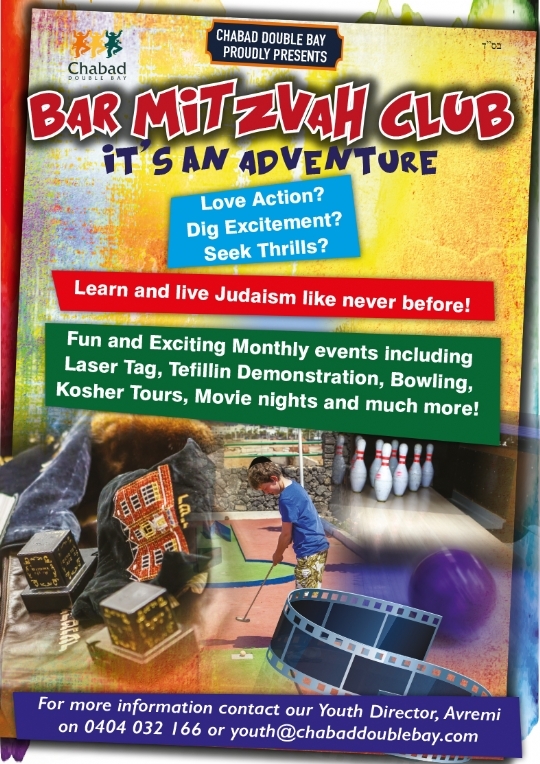 At Chabad Double Bay we offer very unique Bar Mitzvah and Bat Mitzvah lessons. Our Instructors will endevour to introduce to the children the meaning and depth behind the traditions. Not only the "How to do this mitzvah" but the "why am I doing this"
In addition we will prepare your child for that special day.